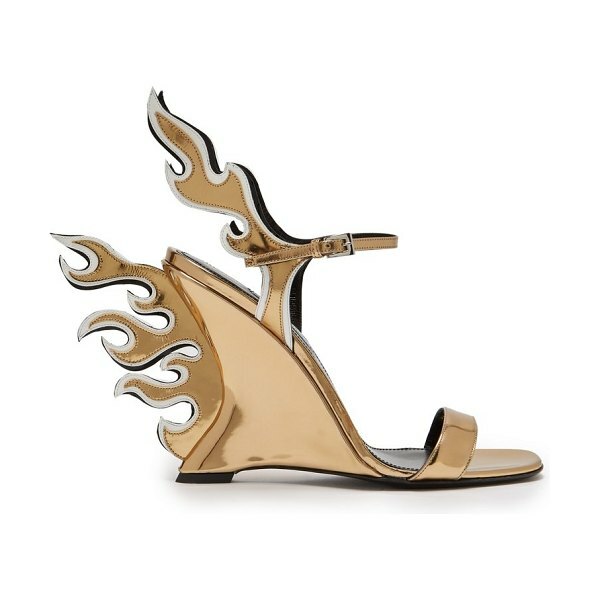 Prada - Prada's Flame sandals are a coveted archival shape from the SS12 collection, updated in gold patent leather as a MATCHESFASHION.COM exclusive for the launch of 5 Carlos Place. 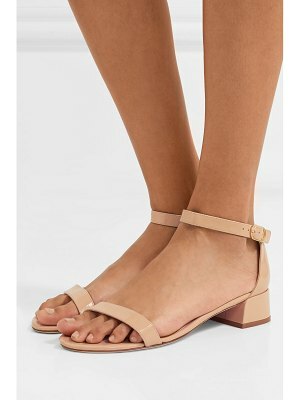 They're Italian-crafted and sit on a curved wedge heel, while the striking flame features are finished with white edges. They'll add a high-octane feel to a tulle-trimmed dress.